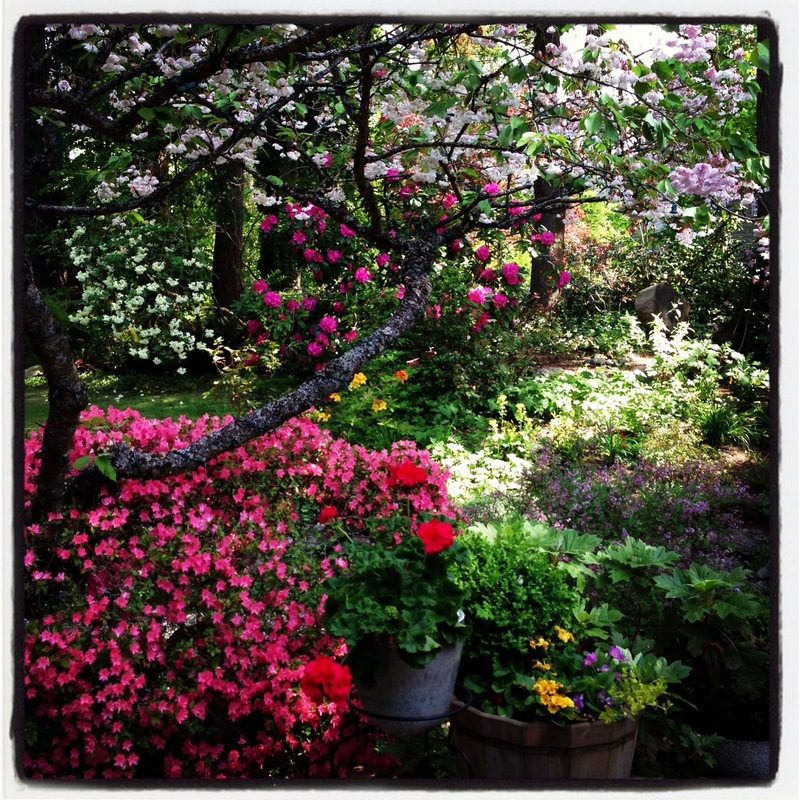 Nice picture of your garden! So pretty! Is the blossom tree a cherry? It’s almost winter here, but very dry, so the garden is very dull at present (and eaten down by Swamp Wallabies). Yes it is a cherry tree and my favorite in the yard! My Grandma had one years ago, but the sparrows ate the buds off… We have plums, peaches, apples, pears and quince,( which we ‘share’ with assorted birds – we usually get some to eat ourselves as well) but no cherries.I loved the cherries we bought at Pike Place in 2011! It is now really and truly raining properly for the first time in months, thankfully!